Have ToneStack / JamUp signal sent to Auria FF Pro-Q2 then out to Master output. You don’t need AudioBus at all for this. 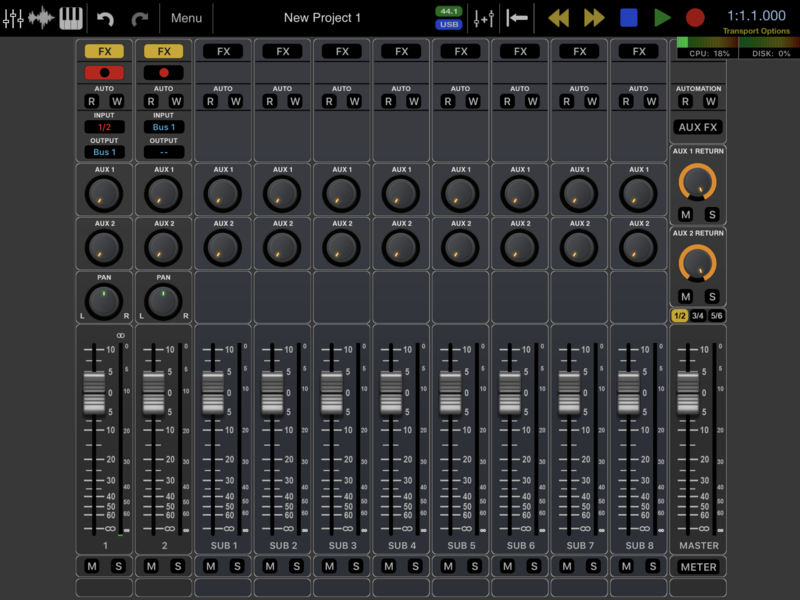 in Auria make an audio track with the Apogee Jam as the input. 🙏🏻 I am so grateful for your response. No need for subgroups then correct? Step one you mean put guitar sim in channel insert? No problem, us guitarists need to stick together around all these synthesizer weenies. No, step one means just make sure that the audio input coming to the track is from your apogee one. Press the Arm button and make sure that you’re getting input from the Apogee one. Maybe the screenshot below will help. 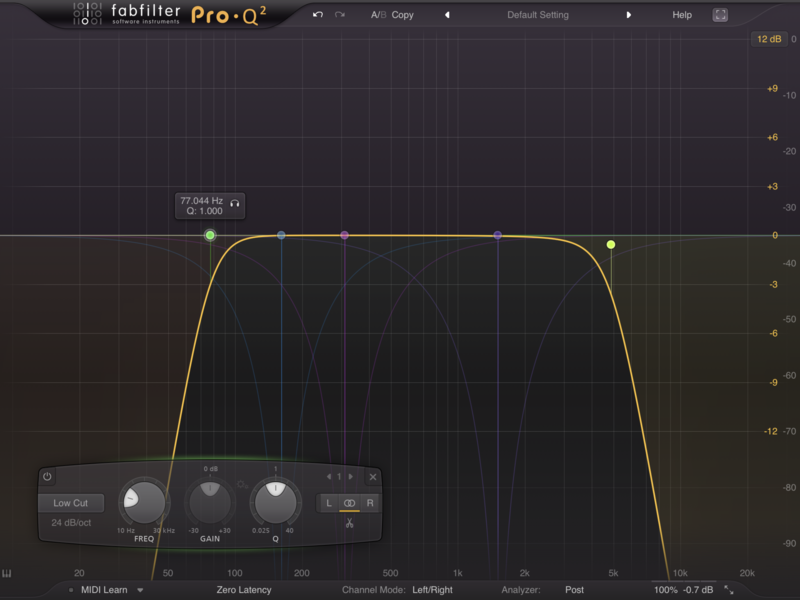 I don’t have Pro-Q2, so I’m using zMors EQ instead. I’m am trying to make my guitar simulators sound more realistic (as much as can be done) I still don’t know how to find the trouble spots. There is also three versions of ToneStack and JamUp. I don’t know which to use. JamUp, Jamup(tracks), JamUp Pro — Only bought one version...weird. I couldn’t get bus 1 to output. So I did it the way you suggested the first time. Just don’t know if apogee jam (mono)—>EQ (Stereo) —>ToneStack (stereo)—>EQ (Stereo) —> out L/R? Don’t know how to keep signals mononaural and I’m getting really damn annoyed at not being able to figure it out. Maybe I should spend 30 on the EQ app and just use Audiobus. Oh, you didn’t mention you’re using this for output to a PA. Humm... I don’t think I’d involve Auria in a live setup. If you’re set on using Pro-Q2 and don’t want to spring for the AUv3 version, then a lower cost eq like zMors seems like plenty to me. I’d just load those up in the FX chain in AudioBus or AUM and forget Auria Pro altogether. Or, there are EQ’s in Tonestack and JamUp Pro that could be placed before and after the amp in the FX chain right in the app. 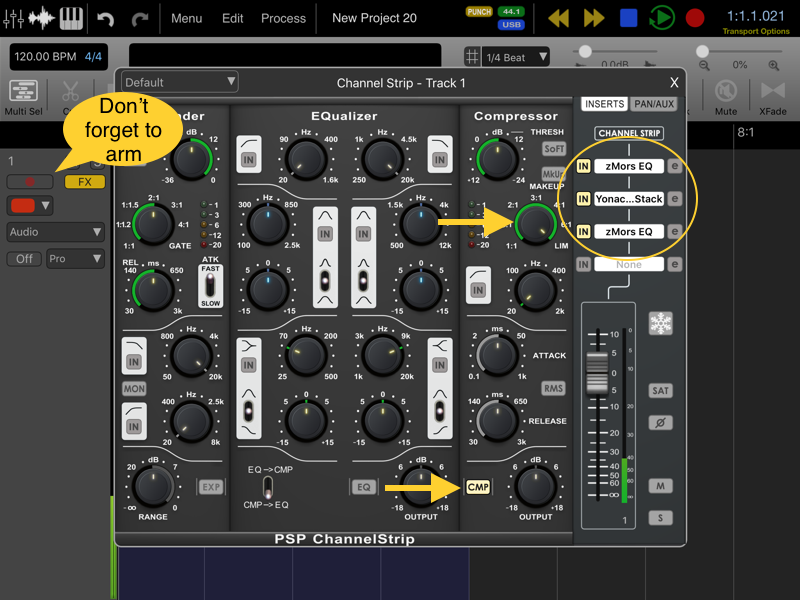 If you want to use Auria Pro then you might want to try creating a mono audio track instead of a stereo audio track. It should all be fine that way, though I don’t have time to try it out right now. I can’t get my PRS solid to sound good with Behringer f1220. Muddy and makes me not want to pick it up. Picked up Pro-Q2 AUv3, zMors also and Audiobus 3. Those used with Tonestack at 64 buffer should be pretty lag free yes? If the iPad will hold up at 64 buffers without crackling, you should be fine. I manage at 128, but that’s just me. I wouldn't use Auria for this. There are plenty of AUv3 limiters out there to replace auria's built in limiter. 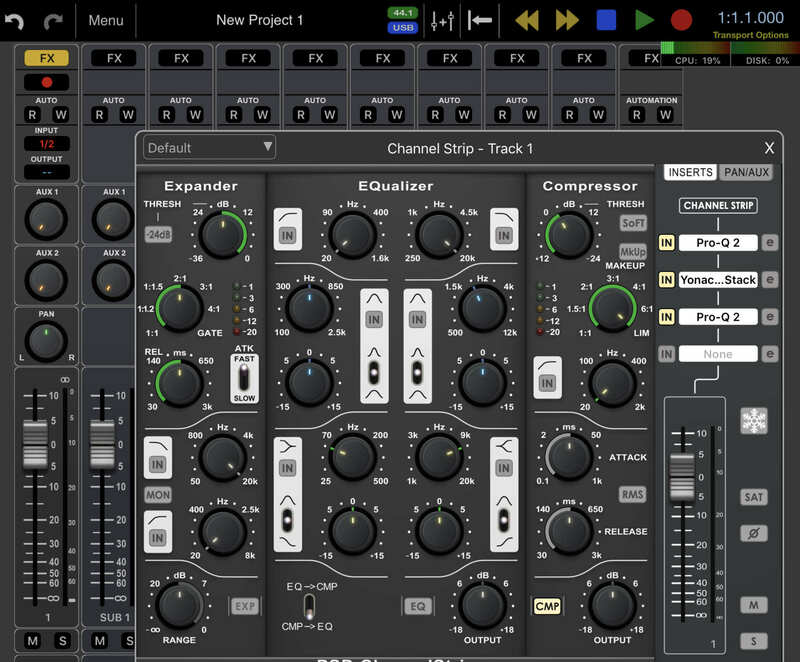 Or, if you have AUM, you can use its built in limiter. Nothing wrong with Auria's limiter; just that for a live situation, loading an entire DAWs worth of features (== ram, cpu, etc) seems fraught with peril. Keep it as simple as possible.